MEET officially releases its latest product called USBKey. As its name implies, it is a USB peripheral that emulates standard keyboards (and mice). The device, which operates without requiring any external power supply has a size only slightly larger than a cigarette box. With it, the user can make any mechanical or electromechanical switch (or an electrical signal) act like a keyboard or mouse key. The device can accommodate up to 10 such inputs. The action triggered by each of them is fully configurable by means of a configuration utility (included in both PC and Mac versions). 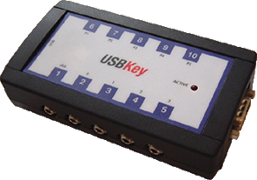 Read more about USBKey here. 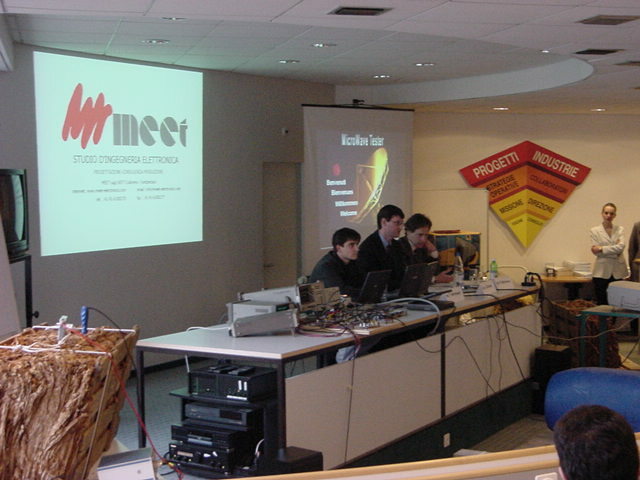 Exetec S.A., one of the major Electronic Manufacturing Service (EMS) companies in Ticino, today announced the beginning of a partnership with MEET Ltd., according to which Exetec S.A. will rely on the know-how and engineering services available at MEET Ltd for all electronic R&D questions related to their manufacturing, assembly and product care business. Today, MEET signed a partnership agreement with Tisolutions S.a.g.l., a company specializing in non ionizing radiation (NIR) metrology and radio planning, in particular in the area of broadcast and mobile communication transmitters. The agreement, which also envisages the exchange of shares between the two Companies, is of strategic importance due to the common fields of interest and expertise in the high frequency and telecommunication domain available at the two Companies and will allow the development of novel services and technologies. Driven by a practical need of our engineers working on customer systems having various types of RS232 cables and connectors (9 pole, 15 pole, DTE, DCE, null modem, etc,) it was found unpractical to keep carrying around a large number of cables and adapters. 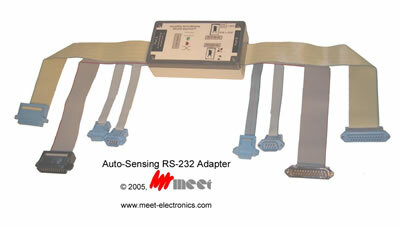 Therefore, our engineers developed what we call our "Universal RS-232 adapter". The nice feature about this small universal adapter box is that it can connect any combination of RS232 connectors (15 pole Sub-D female or male, 9 pole Sub-D female or male) and any kind of wiring (DTE, DCE, null modem, etc. ), by automatically sensing the required type of wiring needed and establishing the connection. And best of all, the device does not need any power supply because it can steal the (little) power it needs for its operation from the RS-232 data lines, without affecting the data transfer. Therefore, it is always ready for use. MEET Ltd of Coldrerio (Switzerland) and the R&D and Technology Transfer of SUPSI (University of Applied Sciences of Southern Switzerland, Manno) have jointly developed a new system for the analysis, the characterization and the quality control of materials used by the processing industry active in the fields of food, paper, wood, construction and many more. 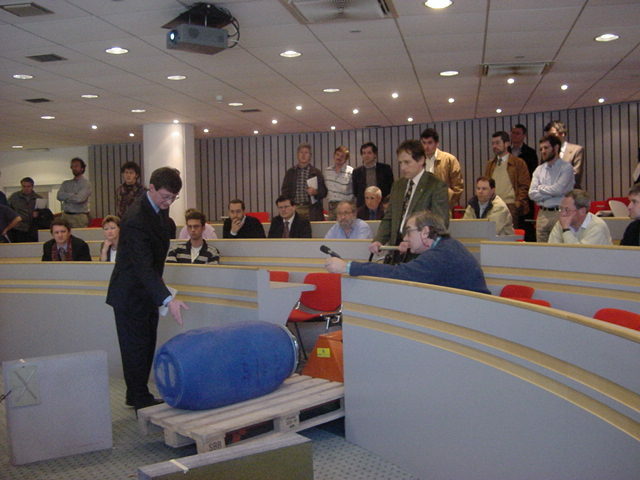 The measure is carried out in real time, allowing for a use on moving enclosures travelling on conveyor belts or on pallets. There are countless applications for this technology, among them - as an example - the moisture monitoring on perishable vegetal goods with the purpose of reducing scrap due to moisture hot spots and consequent product degradation. This problem is particularly of concern whenever big quantities of a perishable product are stocked or transported (e.g. by ship) over longer periods. The system is able to detect inhomogenities, density or moisture variations, product composition on packaged material, without requiring the extraction of material samples, but simply through a "non contact" measure. It is therefore also possible to measure across closed boxes.